Enjoy incredible views from most windows across the garden and out to sea in this four bedroom holiday home by the seafront. 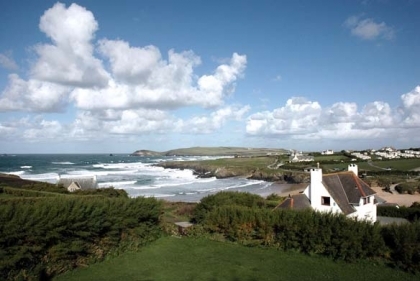 The house was one of the first to be built at Treyarnon Bay, just before the Second World War, retaining some of its original features and character. Inside you will find, slate floors, a modern kitchen and a cosy sitting room making this a very comfortable house to stay at. There is a beach house feel, with living spilling outside whenever possible – but enough room inside when necessary. For most that stay, this holiday home by the sea becomes a very special memory. The large lawned garden is ideal for you or dog to unwind in and makes an ideal setting for alfresco dining of an evening if the weather plays its part. The house is fitted with Wi-Fi Internet access and includes a washing machine, tumble dryer and dishwasher.